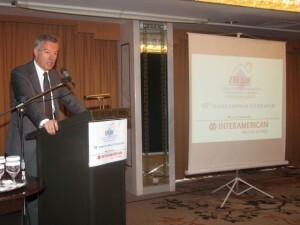 “Unity is needed to extend the tourism season and for Greece to welcome tourists all year round,” was the message the president of the Association of Greek Tourism Enterprises (SETE), Andreas Andreadis, sent out during his speech at the 16th annual general assembly of the Hellenic Federation of Rented Rooms and Apartments (SEEDEE) on 14 April. 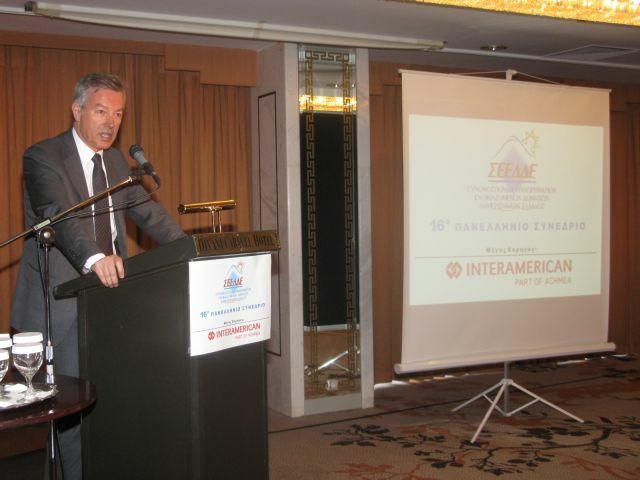 During his speech, SETE’s president gave insight on the soon-to-launch “Marketing Greece,” a new private company to efficiently promote Greek tourism. “Tourists are under the impression that Greece is open for tourism only for three months because tour operators mainly promote family tourism… Through Marketing Greece, the country’s tourism season will extend,” Mr. Andreadis said. “Marketing Greece” will play an essential advisory role on the promotion of Greece’s brand and sub-brands (themed destinations) through the latest marketing tools (social media, world class website, etc.). “The company will aim to reposition and re-brand the country… but this is not just about the country’s logo but promoting the whole ‘collection’ of experiences that Greece has to offer visitors,” Mr. Andreadis said. SETE’s president said the new marketing company for Greek tourism would promote Greece’s tourism products/experiences namely city breaks, senior tourism, ski tourism, medical tourism, etc. The company will run under a budget of two million euros during the first year of operation. The funds were gathered exclusively by the private sector. “The Greek National Tourism Organization has spent some 50 million euros over the past years without result… we’ll see Marketing Greece’s results in two years time,” SETE’s president said with optimism. He also underlined that the company was non-profit, independent from public subsidies, did not have the need for political parties to be involved and would focused on private initiative. The new company’s shareholders are SETE, the Hellenic Chamber of Hotels and the Hellenic Association of Communications Agencies-EDEE. Mr. Andreadis also spoke in regards to the SETE Institute (INSETE) – resulting from SETE’s new role as social partner – that is also planned to operate soon. INSETE will cover the general needs in the area of certification of services provided by tourism enterprises. The institute will be composed of four shareholders: SETE, the Hellenic Federation of Hoteliers, the Hellenic Association of Travel & Tourist Agencies and the Hellenic Federation of Rented Rooms and Apartments.